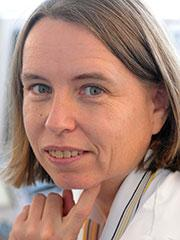 Bio: Anja Feldmann studied computer science at Universitaet Paderborn in Germany and received my degree in 1990. After that Anja continued her studies at Carnegie Mellon University, where she earned her M.Sc. in 1991 and, four years later, her Ph.D. The next four years she did postdoctoral work at AT&T Labs Research, before holding research positions at Saarland University and the Technical University Munich. Since 2006, Anja has been professor of Internet Network Architectures at Telekom Innovation Laboratories at Technische Universitaet Berlin. In May 2012, she was elected the first woman on the employer side of the Supervisory Board of SAP. Since the beginning of 2018 she is director at the Max Planck Institute for Informatics in Saarbruecken. Virtual Network Isolation: Are We There Yet? 4:40 pm - 5:40 pm Panel and Open Discussion: Security and Softwarized Networks: One Step Further or One Step Back? Georg Carle is professor at the Department of Informatics at Technical University of Munich, Germany, holding the chair of Network Architectures and Services. He studied electrical engineering at University of Stuttgart. Studies abroad included a Master of Science in Digital Systems at Brunel University, London, and a project at Ecole Nationale Superieure des Telecommunications, Paris. From 1992 to 1996, he did his PhD at the department of Computer Science at University of Karlsruhe. Subsequently, he worked as postdoctoral researcher at Institut Eurecom, Sophia Antipolis, France, supported by a scholarship from the European Commission. From there, he moved to Berlin, working for five years at the Fraunhofer Institute for Open Communication Systems, and teaching at Technical University of Berlin. In 2003, he joined University of Tübingen, founding the newly established chair on computer networks and internet. After five at University of Tübingen, in 2008 he moved to Technical University of Munich. His work covers design and implementation of Internet components, with special emphasis on measurements, network security, and architectures for trustworthy networked systems. Claas Lorenz is a technology analyst and research fellow with the genua Ltd. which is a German vendor of high security networking solutions. His research is centered around understanding and evaluating technology trends in the domains of networking and security. Currently, he is investigating on SDN security including secure SDN operations and leveraging of SDN capabilities for security tasks. Paul Chaignon is a research engineer in the network security team at Orange Labs in France. He received his MSc degree in Computer Science from the National Institute for Applied Sciences of Rennes, a Grande École of engineering. He is currently pursuing a doctoral degree on security monitoring in programmable networks with the Inria institute and the University of Lorraine under the advisory of Professor Olivier Festor. The First Workshop on Security in Softwarized Networks: Prospects and Challenges (SecSoN) will be held in conjunction with ACM SIGCOMM 2018 in Budapest, Hungary, on August 20-24, 2018. Operators and enterprises in general are increasingly moving towards a softwarization of their networks. Former dedicated network elements are virtualized and placed on commercial-off-the-shelf hardware. Technologies for softwarization are Software Defined Networking (SDN) and Network Function Virtualization (NFV). They allow for a more efficient management of the network. Whereas NFV replaces the tightly integrated middlebox appliances by flexible Virtualized Network Functions (VNFs) running as software instances on standard servers, SDN enables a fine-granular and programmable selection and redirection of flows in the network. On one hand, this softwarization reduces the costs for network equipment. On the other hand, it broadens the attack surface as novel networking devices and protocols are deployed, which needs to be considered during the risk assessment. Especially due to their critical role within the softwarized management of the network, these devices and protocols are high ranked targets for potential attackers and thus, require extensive testing and hardening. In addition, the adaptation of these technologies in enterprise networks remains limited. This is due to the fact, that the integration of new technologies into an existing network infrastructure is a highly complex task, as the compatibility with systems such as network management and cloud management must be assured for production environments. SecSoN 2018 will focus on the prospects and challenges of softwarized networking with particular attention to the following topics. Submissions must be original, unpublished work, and not under consideration at another conference or journal. Submitted papers must be at most six (6) pages long, including all figures, tables, references, and appendices in two-column 10pt ACM format. Papers must include authors names and affiliations for single-blind peer reviewing by the PC. Authors of accepted papers are expected to present their papers at the workshop. Please submit your paper via https://sigcomm18secson.hotcrp.com/.